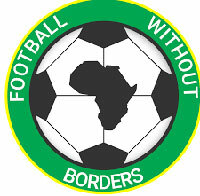 Football Without Borders is a registered NGO and Public Benefit Organisation based in Gauteng, South Africa. The organisation started operating on the ground in August 2016 in Zandspruit Informal Settlement and expanded to Kromdraai Informal Settlement in January 2017. Youth without a safe space in a rural setting were young people are provided with tools to address areas relating to health education, academic support, sport development and/or career guidance skills.